It is summer; it is hot and the best thing you can do for your health is to ensure that you keep your body fully-hydrated at all times, especially when outside in the warm sun. While many individuals do know this, they still either do not drink sufficient liquids or rely on carbonated drinks, coffee or even alcohol to stave off the heat and thirst. Many individuals say that this is because they do not like drinking tap water and bottled water is too expensive, even though the tap water in the UK is amongst the best quality drinking water in the world. Cinnamon Water: Spice this summer up with refreshing cinnamon water. Sprinkle some cinnamon powder on your glass of water; add a bit of honey for a bit of a sweeter flavour, stir and drink. Cinnamon water is not only refreshing but also has many health benefits. Flavoured Ice Cubes: Flavoured ice cubes look so pretty and colourful in your glass, making an ordinary glass of water suddenly become very festive and just asking to be drunk – add some mint for freshness or fruit juice for sweetness to the water in your ice tray and freeze. 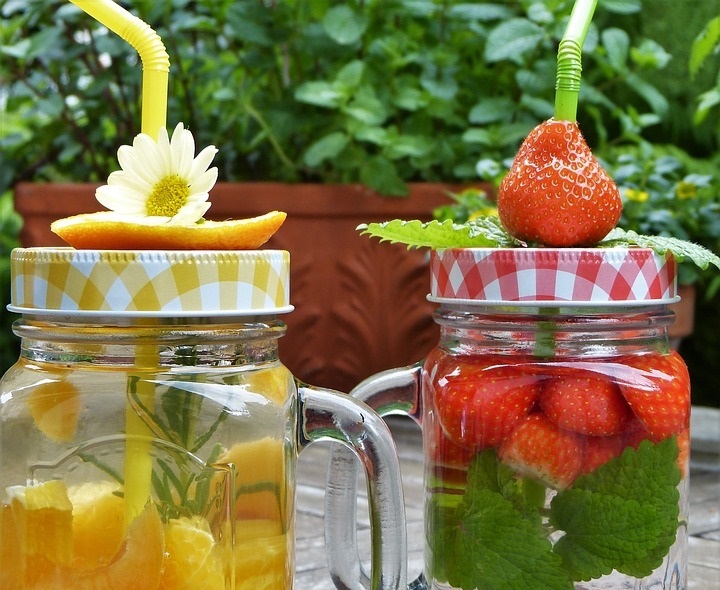 Fruit Infused Water: Add slices of summery fruits like watermelon, colourful berries or some sprigs of mint to your drinking water for an interesting, refreshing drink. Herbal Water: Add mint or basil leaves to your glass of water for a refreshing, tasty summertime drink. Iced Tea: Iced tea is also a great summertime treat and so easy to make yourself – brew up some lemon, rose, berry or even peach tea, pour into a jug with ice blocks and place in the fridge for a few hours – top it off with a sprig of mint or a slice of lemon on the rim of the glass and you have a summer non-alcoholic cocktail. Water Cooler Water: Invest in a water cooler from Living-Water for a virtually non-stop supply of chilled, filtered drinking water.